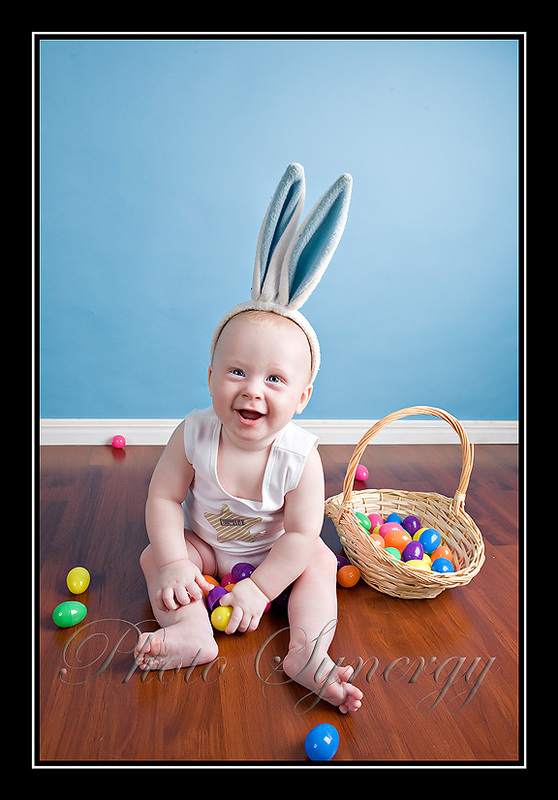 It’s been about 7 months since I had the adorable Master H in the studio. 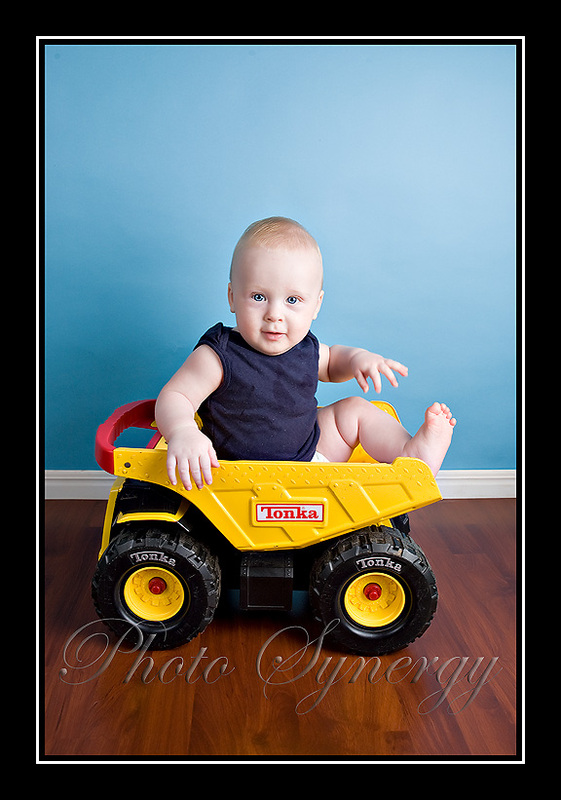 My-oh-my hasn’t he grown! 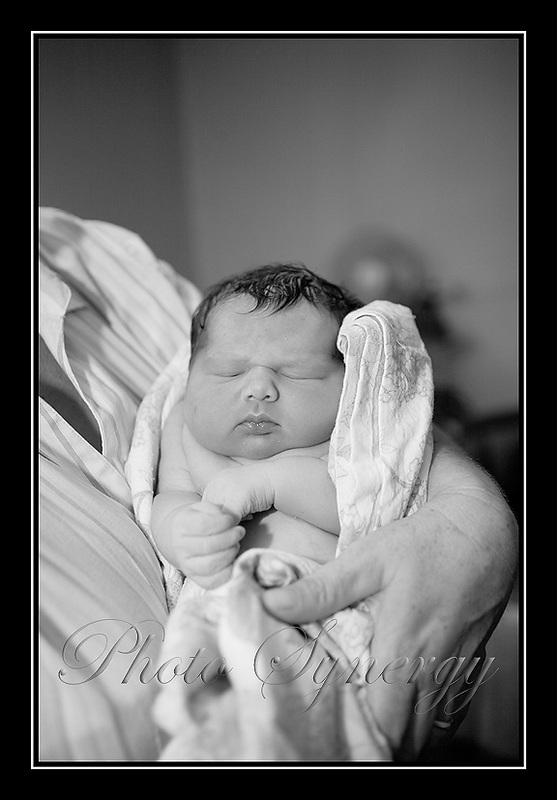 I had given him the nickname “Little Harry” after his first session, as he was the smallest newborn i have ever seen/photographed weighing in at just over 5 pounds. Mum tells me that he LOVES his food now, and when you pick him up you can certainly tell! 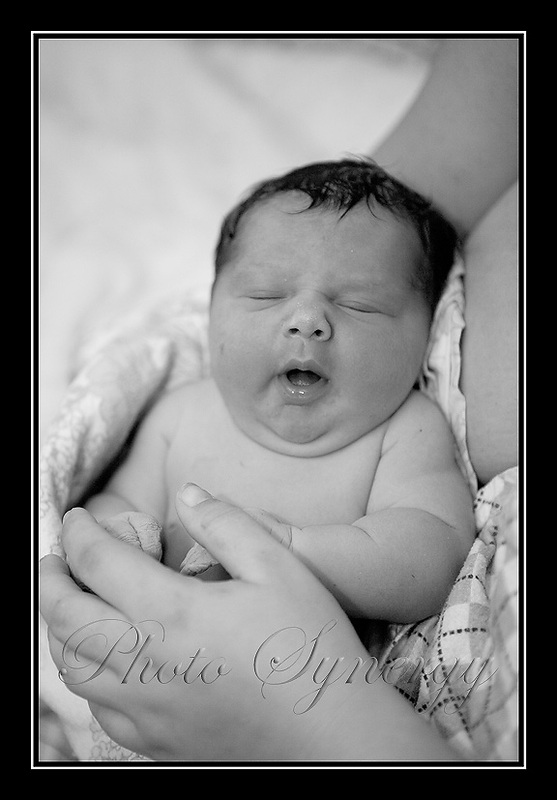 I love me a chubby bubby, and this baby is no exception. He makes me clucky every time I see him! 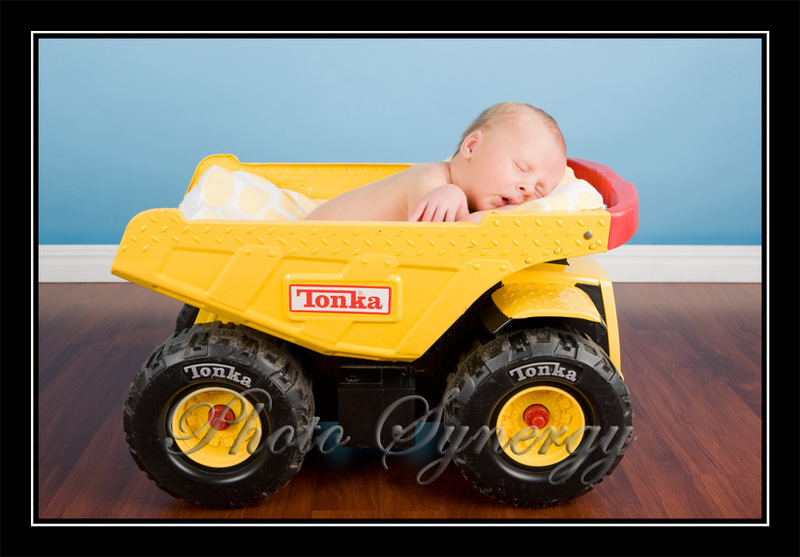 and just to compare, this was him in the tonka truck when he was a newborn! My best friend had asked me to be at the birth of her baby, and i jumped at the opportunity. 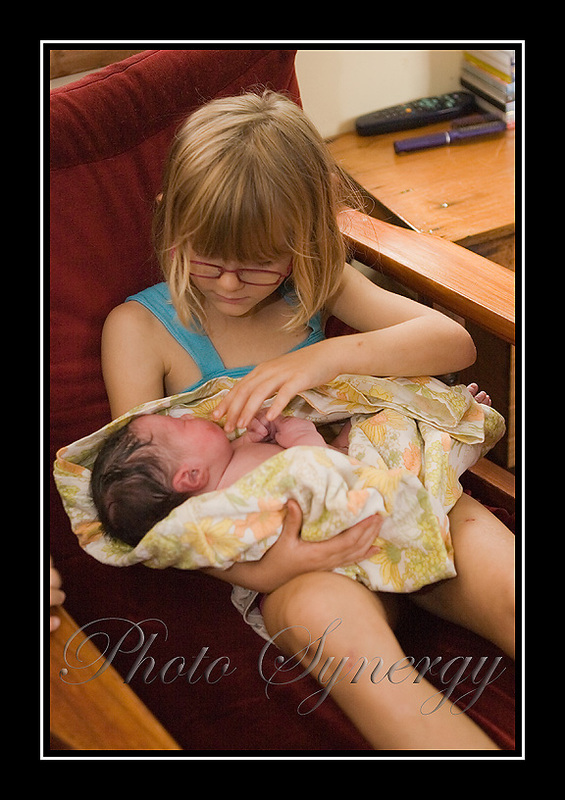 There is nothing more amazing then seeing a child being welcomed into the world. We knew it was going to be a fast labour, so when I got the phone call at 6am that it was go time, we jumped in the car and started on the 2 and a half hour drive straight away. What we weren’t counting on, was how fast the actual labour was going to be. Emily arrived in about 2 hours from start to finish, meaning I missed the birth. Luckily Naomi had called her fabulous Aunty to come and help her out with the kids because she didn’t think that I would make it in time. She was right! Emily was born about an hour after my phone call, and she is so perfect in every way. Not that I am biased, she is my niece after all! 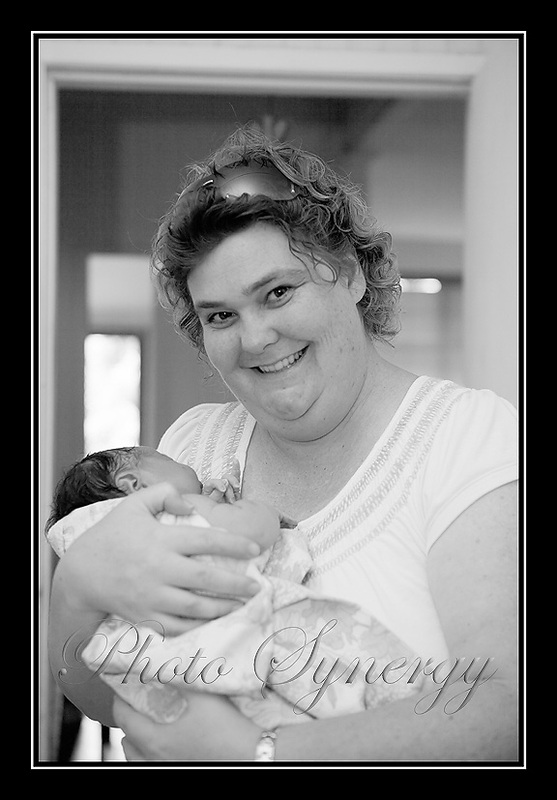 This one would have to be my favourite one of the morning………..
Claire, the amazing midwife who I can’t thank enough for looking out for this precious family and bringing their babies safely into this world………. And a big thanks from Dad too………. And you just can’t forget the proud Aunty! 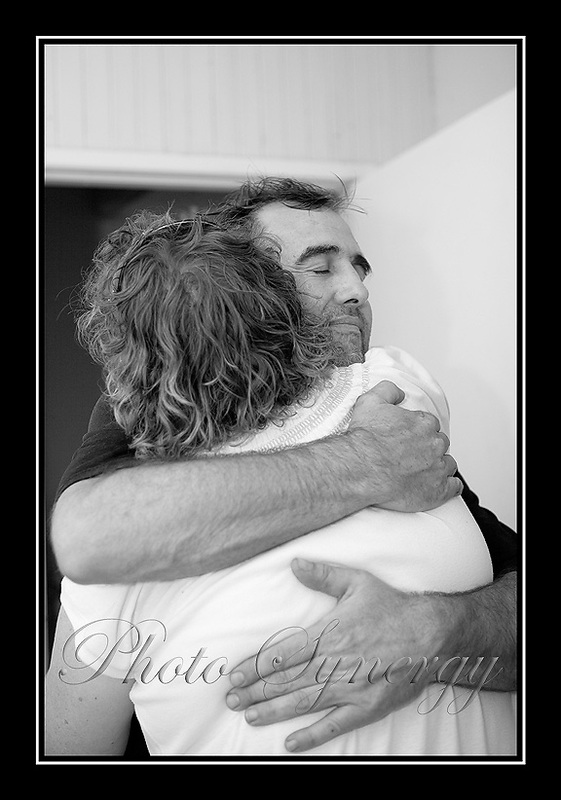 A massive thank you to Nay and Dave for allowing me to be there in those special moments after Emily entered the world. 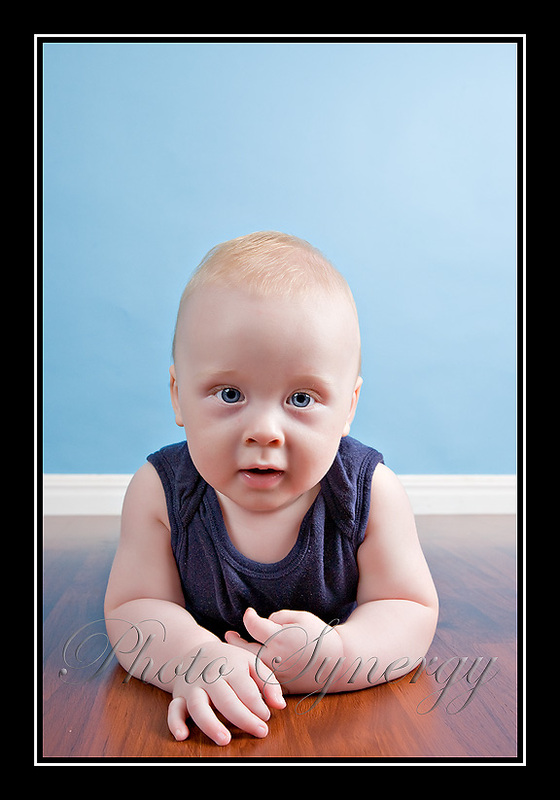 Brisbane – Gympie Photographer | February Special – Half price Sessions! That’s right, you heard correctly, a full session for just $75!! AND a further 20% off your digital negatives or prints! Sessions must be booked in February and must be taken before the end of March. Session fee must be paid at time of booking to ensure your timeslot. 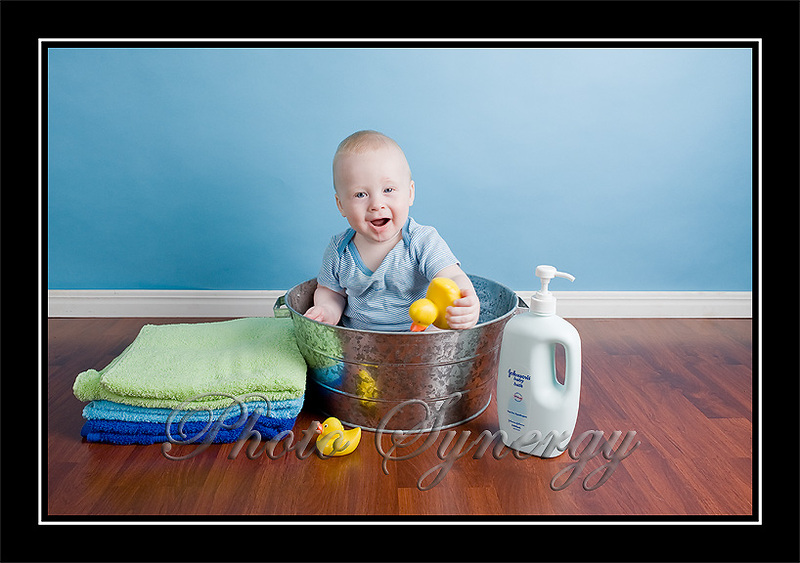 Email lauren@photosynergy.com.au to book your session now! Please note that this offer does not include any wedding packages, and it expires at midnight on the 28th February, 2010. 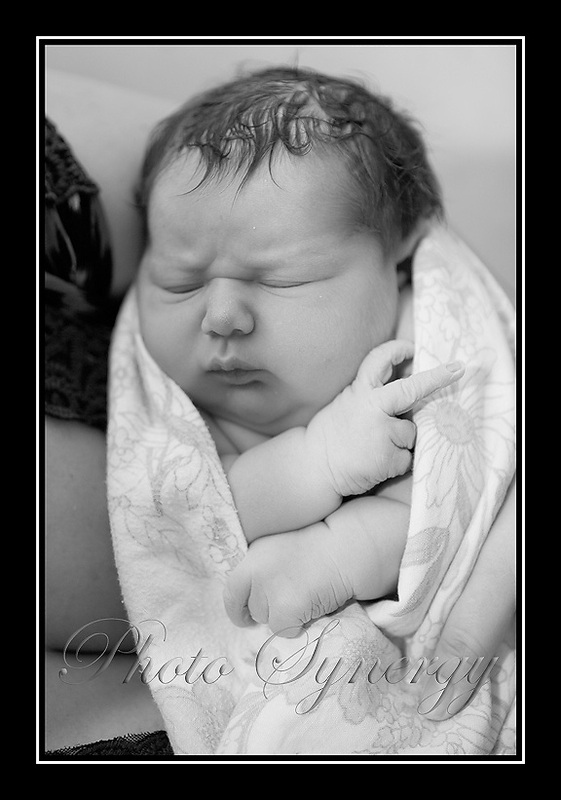 Photo Synergy is pleased to announce the introduction of monthly specials. We had a fabulous year last year, and thought that it was time to reward our old clients, and hopefully meet some new ones! Before the beginning of each new month, we will inform you of what the following months special will be. Bookings must be made in the month that the special will run, and must be taken in a certain time frame. This time frame will vary depending on what the special is. (Session fee will be due at time of booking to ensure your timeslot) Please contact me at lauren@photosynergy.com.au to arrange your session! Stay tuned for our first monthly special!